The preacher compared the two in relation to our own sinful nature. The raven is dark (sin), the dove is white (pure). Noah had the key to both cages and we, too, have the key…we can decide which we let out in our lives. Noah had to feed the birds, but they both wouldn’t eat the same thing. He could set out nuts and berries but the raven wouldn’t eat that…he could set out a dead carcass, but the dove wouldn’t eat that. We, too, can only feed one or the other. Feeding the dove means reading our Bibles and praying. I will be using this our homeschool Bible study one morning this week. 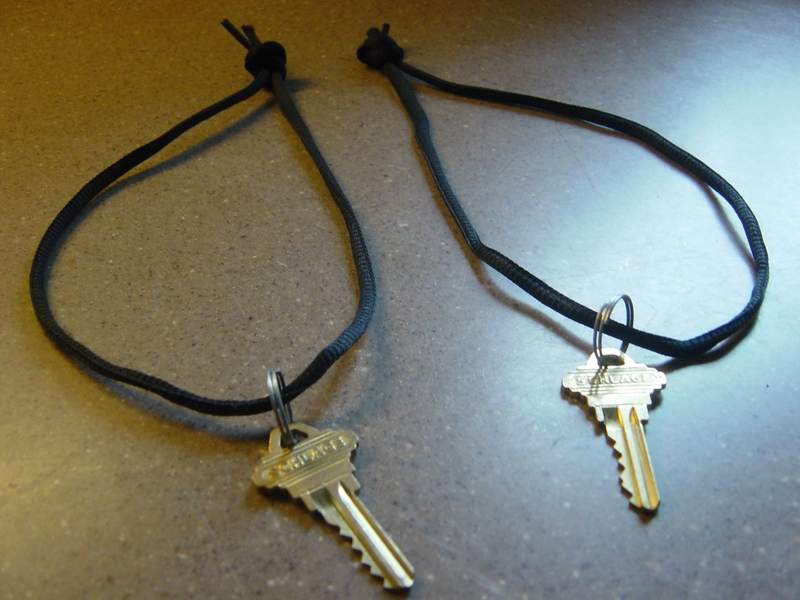 I attached a key to a shoe string and made a necklace for the kids to wear to remind them that we hold the key as to which behavior we let out….the dove behavior or the raven behavior. It’s up to us! FYI…Home Depot will donate keys that were damaged when they were making keys.